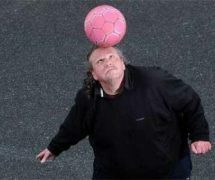 As I seen on ITV Wales News on Wednesday, 27th March, a 20-stone man from Swansea has become an internet hit after he was secretly filmed practicing his surprisingly incredible football skills. 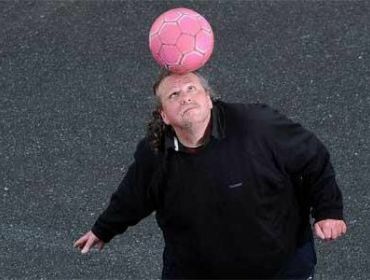 I was astonished when I saw the man, who is 50 years old and named Andrew Cassidy, having a kick-around in his local car park. I could not believe his Messi-style skills for a man of his weight and age. I’m 16 and I can’t even volley a ball more than 5 times but after seeing Andrew do all these wonderful skills, it has really shocked me that you don’t have to be fit, sporty or young to play sports as Andrew shows. The news bulletin has really inspired me to take up sport again, as I thought I was unfit and not the right person for sport but thanks to this video I am definitely going to take up sport again. My recommendations to readers of this article is: if you are afraid to play sport, maybe because of your weight, your ability or physicality, just go ahead and do it. Ignore what other people say, because at the end of the day, it is your choice to do what you want to do, so don’t let your weight, ability or physical appearance bring you down. Go for it, go for gold, you could be the next sporting champion.